...to unsightly stains with our help. We clean all furniture including couches, loveseats, and kitchen chairs. Our meticulous process helps us to remove even the most stubborn stains. We pre-vacuum, pre-spot, pre-spray, and pre-scrub using a furniture hand mitt. 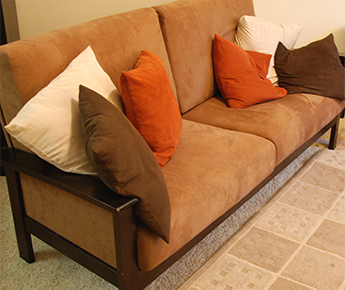 This allows our steam cleaning equipment to easily remove all dirt from your furniture. Scotch Guard™ protection is also available.